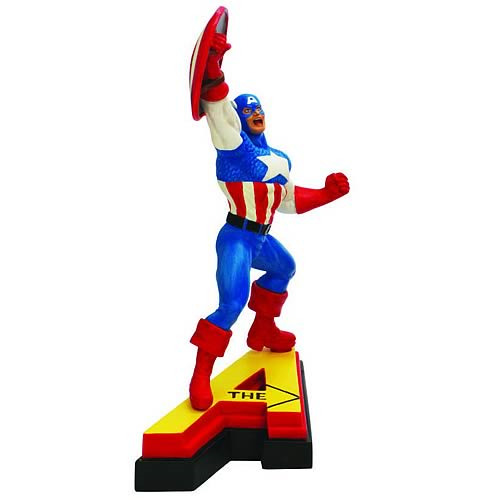 This hand-detailed Captain America resin statue portrays Captain America in a dynamic pose atop the letter A and standing 6-inches high. As one of eight pieces that can be assembled to spell out AVENGERS, this set can be a wonderful addition to any Marvel or Avengers collection. Use it as a paperweight or display it on a shelf when you get the rest of the figures in the set! Ages 12 and up.